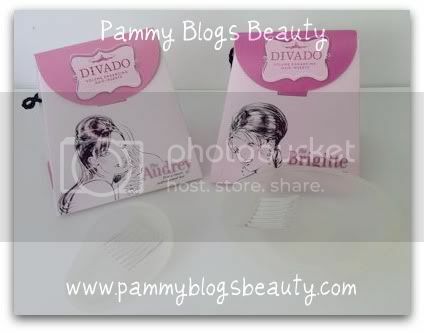 Pammy Blogs Beauty: DivaDo Volume Enhancing Hair Inserts: review! DivaDo Volume Enhancing Hair Inserts: review! Okay, I can't resist telling you more about the contest! Especially since DivaDo has invited me to be a guest judge!!! 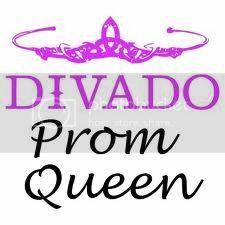 :) DivaDo is doing a "Prom Queen" Model contest! No, you don't have to actually go to Prom or be in High School! 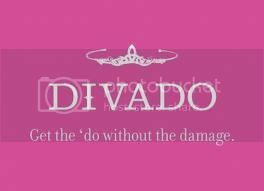 Anyone with aspirations to create and model hairstyles with their DivaDo can enter! I have been having fun playing around with my DivaDos and photographed a couple hairstyles for you! For my photos and my reviews of the Diva Dos as well as more info about the "DivaDo Prom Queen" Model contest, please keep reading after the jump! So, do you love that bump look, but hate the teasing? I know with all I do to keep my hair in good condition, the last thing in the world I want to do is backcomb it just in order to achieve volume. It just seems too damaging! This is where the real beauty of the DivaDo steps in. It allows you to create dramatic bumped-up looks with no damage to your hair. You just section your hair, secure the insert with a comb, and brush hair over the top. That's it! Yes it takes practice and a few bobbi pins or a hair rubber band. But, it is really pretty basic. You don't even need to use hairspray! I sampled both styles of the DivaDo. The Brigitte and the Audrey. First of all, they come beautifully packaged! The box is not only very girly and appealing, but also a great place to store your DivaDo between uses. As soon as I took the inserts out of their boxes, I could tell that they were of very good quality. They are essentially flexible (but with solid shape) silicone molds with a comb attached underneath. The plastic comb is securely mounted to the mold or "bump". The bump itself has an almost "sticky" like texture (no, it is not sticky), but it helps your hair to stay mounted on top. I choose the clear style as my hair is blond. But, dark DivaDos are available to for women with black or brown hair. Unlike other bump-enhancers that I have seen at the drugstore, the DivaDo's soft and flexible shape makes it comfortable to wear on your head. Okay readers, I have to admit, I am not the most talented individual when it comes to updo's (hanging head in shame, lol!). So, if I can get the DivaDo's to work in my hair, then I know you will be able to as well. The best advice that I can give you is to practice a bit and get the feel for using the DivaDos. Make sure that you are not using it for the first time the day of your "special event". Yes, DivaDos are great for doing super-glam do's for special events. 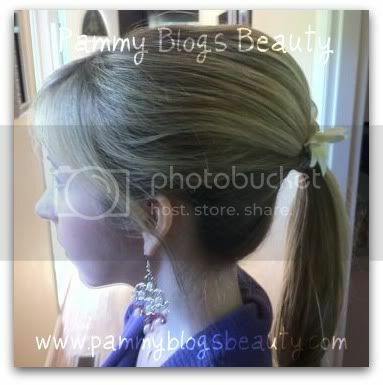 But, you can also do casual pulled back styles like bumped pony tails or partially pulled up bumped hair. I highly recommend watching the DivaDo how-to video on their website before getting started. Richie Arpino, a local Atlanta Salon Owner, gives some great tips on how to easily insert and remove your DivaDo. Also, I must insert here that I love supporting local businesses!!! Let's start with the smaller of the two DivaDos. The Audrey is flatter, smaller, and less domed than the Brigitte. This one is idea for the "front bump" style and looks good when positioned slightly towards the front of your head. The Brigitte is much larger than the Audrey. This one is for a mega-volume bump! You are going to need to separate a much larger section of hair in order to cover the whole bump. I found that I used about half of my hair to cover this bump. Here is the look that I created with the Brigitte. This was so *super easy*!!! All I used to create this look was the DivaDo, one pony-tail rubber band, and a small clip in flower. That's it!!! The ponytail holder plus the comb on the DivaDo was all I needed to keep this style in place. I was super impressed with that! Now, I have pretty thick side-swept bangs. So, with the Audrey DivaDo, I was not able to get the bump as close to the front of my head as I would have liked (note, the Brigitte is worn more towards the back of your head). My bangs are just not nearly long enough to pull over the Audrey DivaDo when positioned towards the front. So, generally speaking, I think these DivaDo's might work *best* on women with no bangs or thin bangs (for the Audrey in particular). But, as you could see, even though I have bangs, both styles of the DivaDo still worked on me. Also, while my hair is long and fine in texture, it is also in the medium-thick range. I would recommend these DivaDos for anyone with medium-long length hair that is also Medium-Thick. If your hair is very thin, you might not have enough hair to cover the DivaDo insert. The Brigitte is quite large and you are going to need to have plenty of thick long hair to pull over it. You might be able to get away with using the smaller Audrey with thinner hair. The DivaDos are extremely comfortable to wear!!! Honestly, I don't even feel that it is any different than wearing your hair pulled back with a comb or ponytail holder. Also, they are lightweight and they hold very secure. I had no worries that it would slip or come out of my hair. The DivaDos are very easy to put in. Granted, it might take a little playing around first, but you will totally get the hang of it quickly. I know I am still experimenting and am excited to try even more variations with the bumps. I was totally amazed that the Brigitte held in place with only one ponytail holder. It just doesn't get any easier than that! The Audrey retails for $25 and the Brigette retails for $30. You can find them online at DivaDo.com or at selected salons. Yes, this is pricey for a hair accessory. But, the quality is very good. I can see both of these DivaDos lasting me a very long time! Be sure to brush out your hair very well first. Also, when you separate the sections, brush it out before you smooth it over the DivaDo bump. That way you can just smooth and secure the hair to cover the bump. You may want to create your DivaDo hairstyles on "day old hair" or hair that has not been washed. 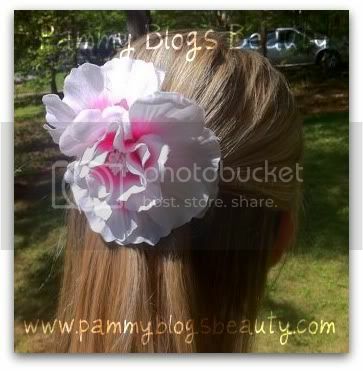 This is a good tip for any updo, not just the DivaDo. Fresh and clean hair can be slippery. Practice with it. It may take a few attempts the first time as you get used to the look and feel of the DivaDo. Make sure that the comb is secure. You can test this by doing a little "wiggle test" (just wiggle the Diva Do a bit) to make sure it is secure in place. Have fun with hair accessories. 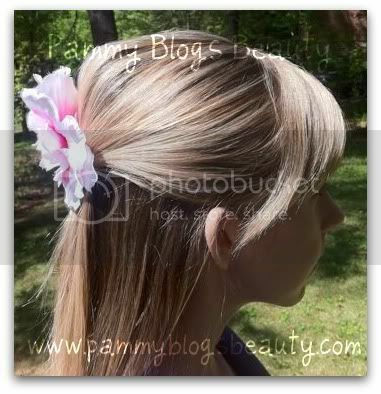 Changing out a clip, bow, flower, or pretty barrette can really vary your look! Be sure to check out DivaDo.com! Good luck if you are entering the contest!!! Has anyone else tried the DivaDo or any other "bump creator" hair inserts? I would love to hear about your experiences!